If you are currently concerned because you suspect you are leaking water, call us now for emergency leak detection at 904-574-5100! Water leaks in a home can cause thousands of dollars of damage if left undetected and treated. If you are showing any of the following symptoms in your home, do not hesitate to call us! There are several ways that leaks can occur, most of them are out of our control such as vagrant roots from nearby trees. However, there are a lot of preventable ways to avoid leaks that are usually caused in households. If any of the following events occurred recently, you could have a leak in your home. Clogged Plumbing Lines from Drains and Fixtures – A clogged line, if left unattended can cause ruptures and fissures in plumbing lines. If these ruptures come from waste plumbing such as toilets, you could be facing a larger problem than merely a leak. Deterioration of Pipes – Pipes deteriorate over time due to natural erosion. Call the previous owner or your homeowner if you suspect they might be too old and need to be changed. Overflowing Drain Pans – Drain Pans can overflow over time if poorly maintained, make sure to regularly schedule inspections. Rusting Sediment in Water Heaters – Water Heaters often will hold depositories of water for long periods of time which can erode the structure of the water heater leading to a leak. Research has shown that the typical home can lose 2,000 to 20,000 gallons of water per year due to undetected leaks. 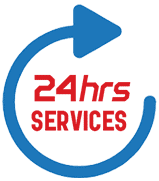 All Hours Emergency Plumber service technicians will accurately and efficiently locate hidden water leaks using most updated technical equipment and techniques. 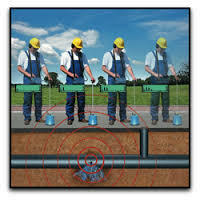 Plumbing leaks occur in all types or pipe material without regard to the location in which it is installed. Leaks may occur in copper, galvanized steel, ductile iron, CPVC, PVC, polybutylene and cast iron piping and can happen in every conceivable location inside, outside, above or below ground. Call us now at 904-574-5100 for immediate service!